The Fujifilm X-E2s is like the X100T’s cousin that can take different lenses. The camera performs a lot like the X100T but does feature some lighter hardware which doesn’t quite allow it to max out memory card speeds. Because of this there is some disparity between memory card speeds. 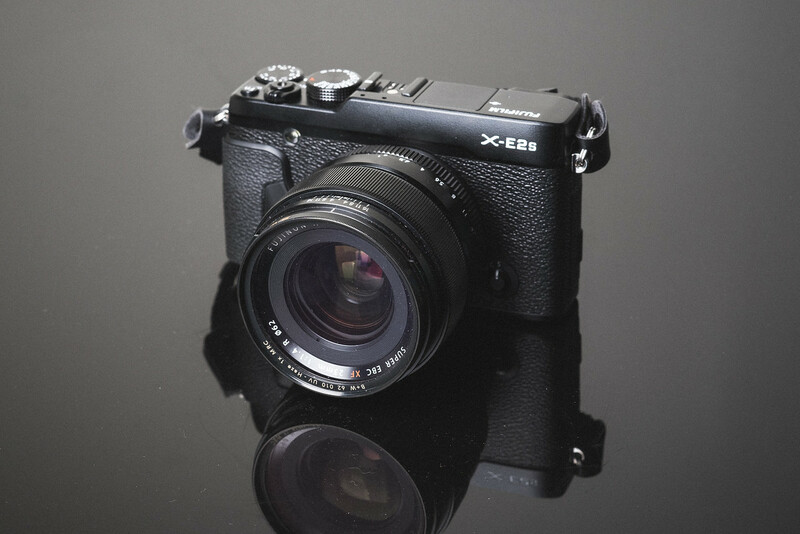 This guide will help you find the fastest and the best memory card for the Fujifilm X-E2s. The Fujifilm X-E2s seemed to really like some brands of cards while not performing well with others. I’m not sure why this is but you can use the chart below to help you find the fastest sd memory card for the Fujifilm XE2s. You can see right away the difference in speed between card brands. It seems the XE2s really like Samsung cards while performance with the Sandisk cards suffered accross the board. This is the first camera I’ve tested where Sandisk cards were not on the top of the charts. The Fujifilm XE2s doesn’t take advantage of UHS-II memory cards but they still do function and it does seem to really like the Lexar 2000x and it performed the best out of any card with a write speed of 48.63 MB/s. The main advantage of using UHS-II will be USB 3.0 write speeds to your computer, assuming you have a fast harddrive. UHS-I memory cards offer the best bang for the buck and they perform really good in this camera with a top speed of 46.47MB/s on the Samsung Pro+ U3. Although Sandisk is one of the best brands out there, they did not perform well with the XE2s for some reason. In this case it’s really hard to beat the performance of the Samsung cards. They are also really nice cards as well and I’ve never had any issues with them. Unfortunetly cards manufacturers usually don’t tell you what kind of flash memory they are using and many now offer limited lifetime warranties, so you’re stuck not really knowing how long your card can really last. UHS-II Memory Cards, Will They Work For The Fujifilm X-E2s? Short answer is yes they will work in the Fuji X-E2s, but with limited speeds. However, if you’re a casual shooter, they probably won’t be worth the higher price. Right now UHS-II SD memory cards are the fastest you can buy, but few cameras can take advantage of them. However, if you like to buy large cards and find yourself filling them up a lot, then those UHS-II speeds can really benefit you when it comes to transferring the data to your computer. Really nice for studio photographers. But you’ll also need fast harddrives to take advantage of these speeds. Something like a Raid or an SSD should work fine. For Fujifilm cameras that don’t support UHS-II, I usually just stick with UHS-I cards, since they’re not very expensive and always coming down in price. In the case of the XE2s, stay away from Sandisk and go with Samsung, Kingston, Transcend or Lexar for UHS-I cards. And if you’re shooting with UHS-II, stick with the Lexar 2000x or the Toshiba. Does X-E2s benefit from UHS-I U3 compared with UHS-I U1 and if so by how much? The U1 vs U3 only has to do with minimum write speed. You can still find U1 cards that write really fast like the Samsung Pro U1 or the Lexar 600x. they are only a few MB/s slower than the fastest U3. After reading this report, I had the occasion to try out three cards on my Fuji X-E2S. Sandisk (8MB 95mb/s), Transcend (32MB U3), Silicon Power (32MB, U3, claiming to read at 90MB and write at 80MB/s). I just ran a simple test, namely, burst-shooting in high frame rate supported by the camera. In this mode, there is a volley of rapid burst, followed by a slower rate of firing which typically is faster than the slow frame rate. It has to do with the buffer filling up and getting dumped to the card at slower rate. Sandisk turned out to be the best giving a longer duration of rapid burst, then slower. Transcend and Silicon power rapid burst was less than half the duration of the sandisk card. All three cards then stayed at the slow burst which was a bit faster than the slow frame rate burst offered by the camera. The camera was aiming at the same scene and on manual setting (focus, aperture) to control these variables.